We are just two minutes from Woolwich Arsenal Train/DLR Stations. Turn right when leaving the station and we are within the historic Woolwich Arsenal, on the other side of Beresford Street. There is a car park at Woolwich Arsenal train station and also a short stay one in Tesco, in Woolwich. We are also able to offer home visits, if you have difficulty coming to our office. Simply call us on 020 8854 9131, or complete the form below and a member of our team will get back to you within 24 hours. 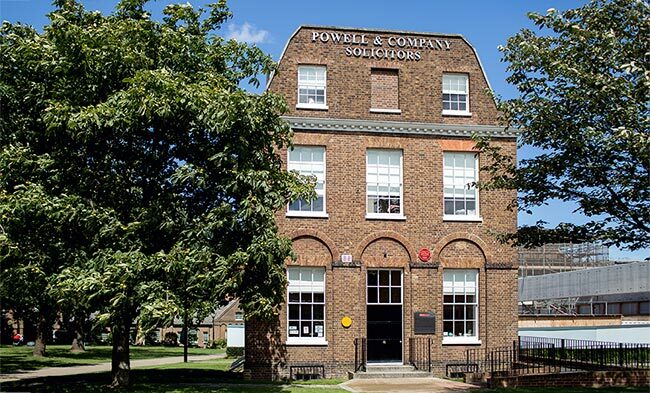 Professional and dependable, I have felt supported and well informed by the team at Powell & Co throughout my case. I will certainly recommend them to anyone in need of legal representation.